Used Land Rover Freelander Review - 2006-2014 | What Car? What's the used Land Rover Freelander 4x4 like? The original Land Rover Freelander was a top seller and huge success commercially, right across Europe, but this second-generation version represented a big step up for the British company’s smallest product. With smarter looks inside and out, it could take on premium-badged opposition such as the BMW X3 and Audi Q5 for the first time. True, the interior plastics still don’t feel as classy as those in contemporary Audis and BMWs, but they’re much better than the ones used on the original car, and there is plenty of head and leg room in both the front and the rear. It’s just a shame that the Freelander’s boot is so small. The driving position is good, placing you high and giving an excellent forward view. 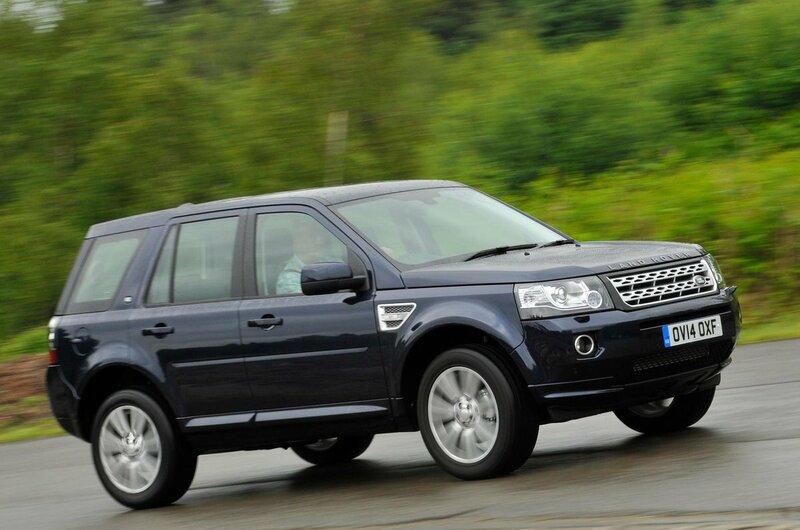 While there’s a lot of body lean in bends, the Freelander grips well and has a very comfortable ride. Wind noise can be an issue at speed, but it’s still a relaxing car to take on a long cruise. Because Land Rover was owned by Ford at the time, there are a number of Ford-sourced components and parts used in the Freelander. The best of these is the 2.2-litre TD4 diesel engine, which produces 157bhp and gives the Freelander pretty good performance. There was also a 231bhp 3.2-litre six-cylinder petrol (available before the 2012 facelift) that was relatively swift, but you’ll pay dearly for the privilege at the pumps. The second-generation Freelander also made a bit of history by becoming the first Land Rover product to be sold with front-wheel drive; that fuel-saving eD4 model was added to the range in 2008 and provides a noticeable reduction in fuel consumption. Plus, it’s not as useless in tricky conditions as you might expect, due to the weight of the engine over the driven wheels. Most Freelanders are four-wheel drive and come equipped with Land Rover’s clever Terrain Response system (apart from S versions) that adjusts various vehicle parameters to help you when going off road. Provided you’ve got good tyres on your Land Rover, it should go farther than most from the beaten path. The Freelander proved that there was a market for a high-class small SUV with a premium badge. Its neat shape and chunky styling assured it success in a class where looks are almost as important as ability, although when pushed the Freelander revealed itself to have plenty of that, too. When the stunning-looking Evoque was launched in 2012 the Freelander's days seemed numbered, and it was discontinued a year or two later. By this time it was starting to feel old, admittedly, with a smaller interior than most rivals, poor ergonomics and that slightly dodgy build quality. However, those looking for a reasonably priced SUV with a broad range of abilities could still do a lot worse than seek out a good used example of the Freelander.